This is such an awkward teenage shot! Ha ha ha...and don't even ask what is going on with my hair - I really don't know. It looks like I have a perm! The funky Christmas jumper (yes it was Christmas!) 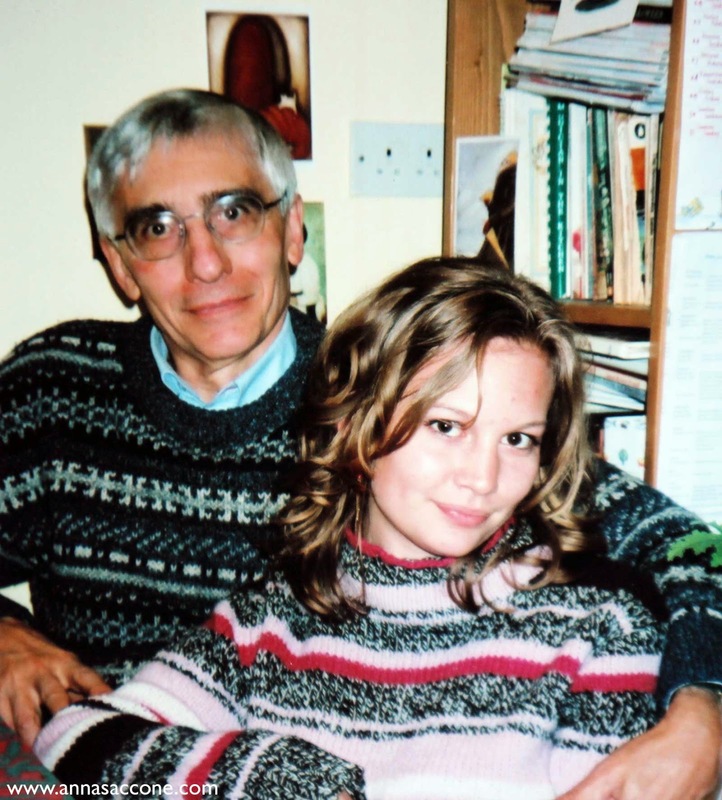 doesn't help the situation either to be honest...but I still treasure this picture because it's of me with my dad! I was about 17 or 18 here and he had just gotten sick. Not a very happy time, unfortunately.